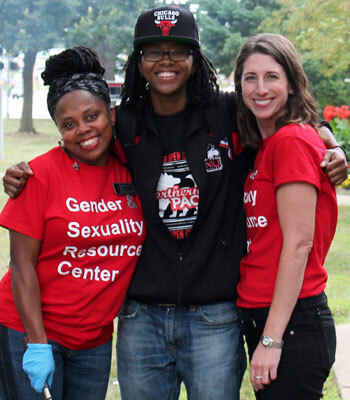 NIU’s Gender & Sexuality Resource Center is planning several events in October to celebrate LGBTQIA History Month. For more information about any event, call (815) 753-4772 or email gsrc@niu.edu. Join the GSRC and special guests to discuss what is known about the modern movement toward equality for LGBTQIA people. The recent movie “Stonewall” aims to share the story of one of the most documented events in the history of queer rights; this event will unpack the story told, challenge whose perspectives are represented and, most importantly, give voice to those whose weren’t (or aren’t) heard. For several years, “Coming Out” has been the way we learn about and sometimes celebrate an individual’s LGBTQIA+ identity. Now, in 2015, is “coming out” the best or only way to share this part of oneself? “Coming Out” can be felt as daunting for the LGBTQIA person, and it can give power to their audience. The concept of “Inviting In” flips how this personal information is shared, empowering the LGBTQ+ person to choose when/if/how/with whom they share the privilege of knowing this aspect of themselves. On social media, we encourage you to share your story of how you invite others to know about your LGBTQIA identity using the hashtags #HowIinviteyouIN #NIU #NIUGSRC. Sponsors are Prism and Transitions. Transgender issues and education are often left behind in LGBTQ history and discussions. Come learn about issues the transgender community faces, as well as learn more about transgender history and culture. The event will include an educational presentation and discussion where you can ask questions that you may have about the transgender community. Co-sponsored by Prism and Transitions. Join the LGBTQA campus community as we welcome back NIU’s LGBTQA alumni for the third annual tailgating at the Homecoming football game versus Eastern Michigan University. Contact gsrc@niu.edu for location information. Sponsors are the Presidential Commission on Sexual Orientation and Gender Identity, the Gender & Sexuality Resource Center, the Center for the Study of Women, Gender & Sexuality, Prism, Transitions, oSTEM and the NIU Alumni Association. 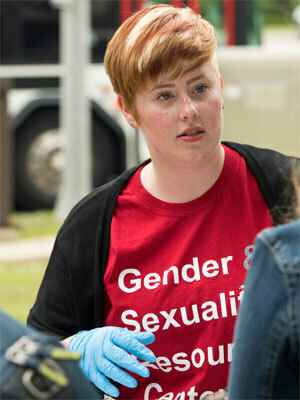 The Gender & Sexuality Resource Center, in collaboration with the NIU Counseling Association, will be screening the documentary “(A)sexual,” which discusses asexual identity. This film brings awareness to the asexual community and educates on the struggles that asexual identified individuals face daily, living in a culture that emphasizes and exploits sexuality. A discussion of the film will follow the screening in which we will openly and honestly consider asexual history and visibility, with contributions from asexual identified students.